I am very lucky…….my garden backs-onto Urmston Meadows! When we bought the house, we absolutely fell in love with the garden (approx. 2 1/2 acres of it). The land was originally sold to previous owners by the council, many many years ago. (If anyone knows of any previous owners or has any old photos or knows any history about the garden I would love you to post them on this site). There were no obvious zones within the garden. The pond had hardly any water and was full of bull-rushes and tarpaulin. The fencing was riddled with holes and falling down. The trees and shrubs had been left un-pruned, and there were a lot of dangerous trees! There was little interest for wildlife. The greenhouse has been re-built and is now fully functional. We have resolved a number of drainage issues, including the construction of a drainage path around the perimeter. The pond has been cleared and a jetty constructed, with a bird-house near the island. We added some livestock: ducks, chickens. We added a duck house to the back of the stable to protect the ducks and chickens from ‘foxy loxy’. A hen/ duck house was introduced onto the jetty to protect wild ducks/ birds from foxes (together with additional fencing). We have planted more fruit trees around the formal lawn area. There has been lots of pruning, digging-out, planting and levelling. There are 3 rotating raised beds for growing fruit and vegetables, plus an orchard. We have planted laurel to protect the pond life from the wind. We have encouraged wildlife to the area (bees, butterflies, wild ducks, insects etc), using plants, deadwood etc. We have several Owl boxes (and you can view the baby owl siting’s on the facebook page for ‘G20 Gas Services’). A hatchery has been built for new ducklings (…..and just in case we need to rescue any more owls!). We built a compost area (for the horse manure, shavings and grass clippings, so that we can re-invest the material back into the land). 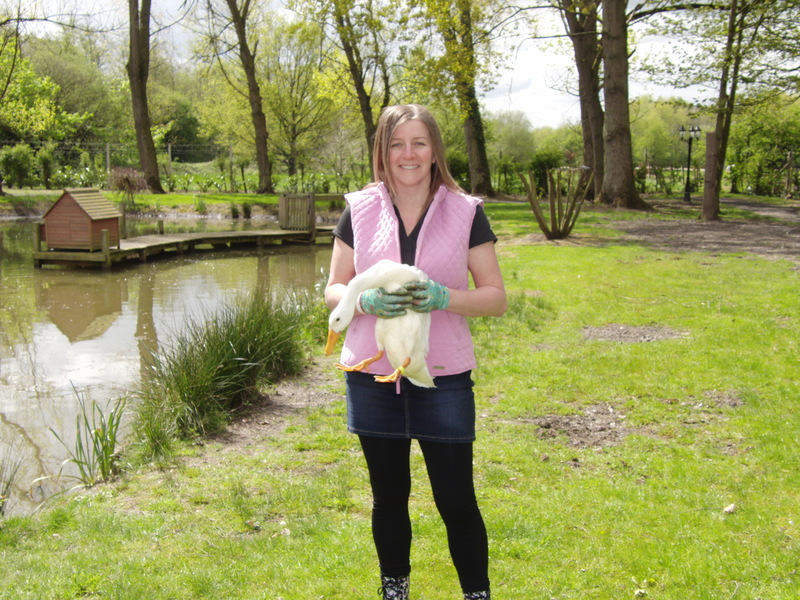 We have introduced more rescue hens to our free-range environment. We are relocating the chicken/ duck house to the old stable building to give them extra space at night. We hope to encourage more wildlife to the area (eg bat boxes, more owl boxes etc). We are planting up the garden beds to give the garden more colour. WE ABSOLUTELY LOVE OUR GARDEN!